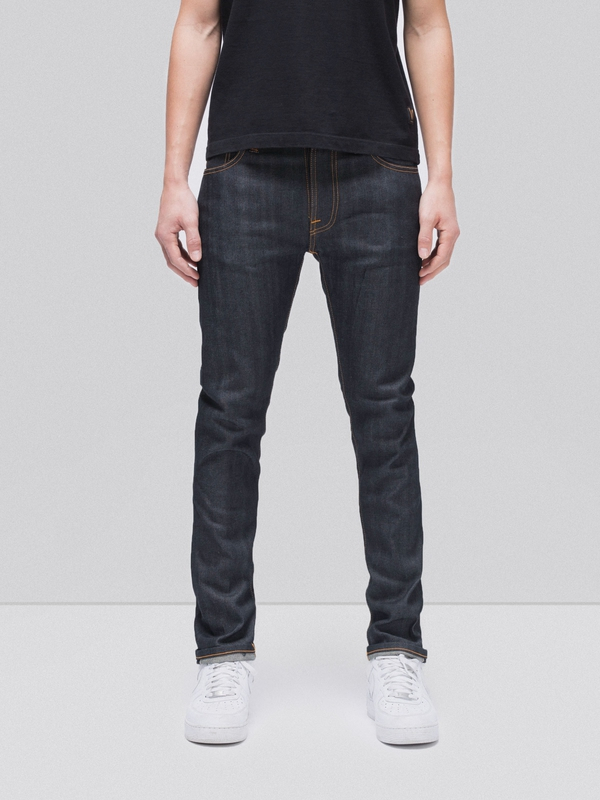 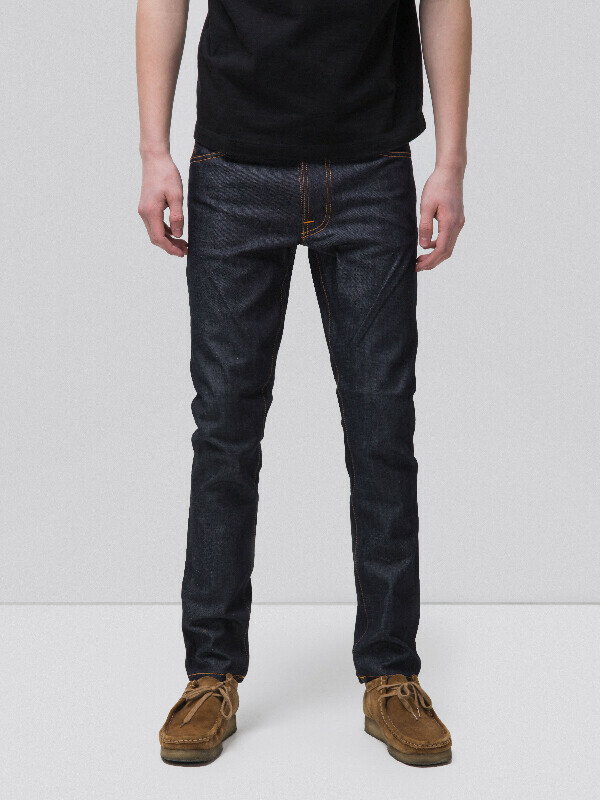 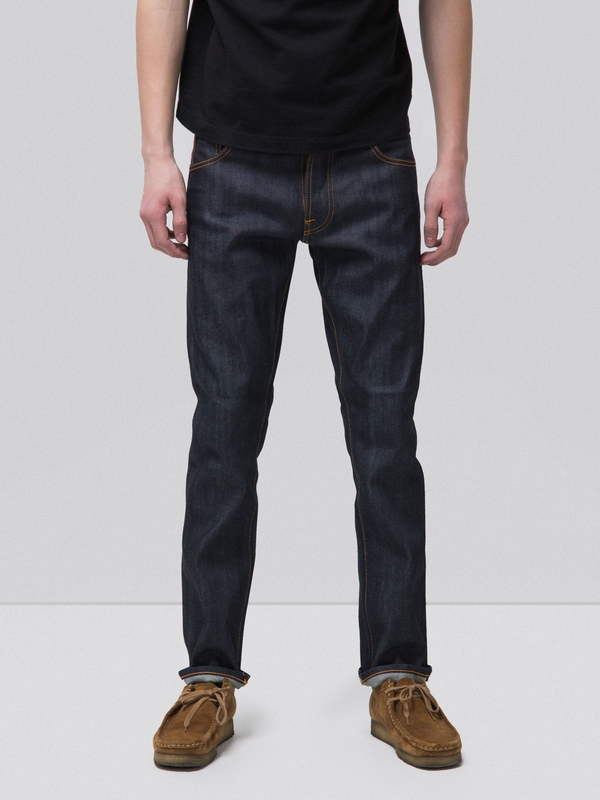 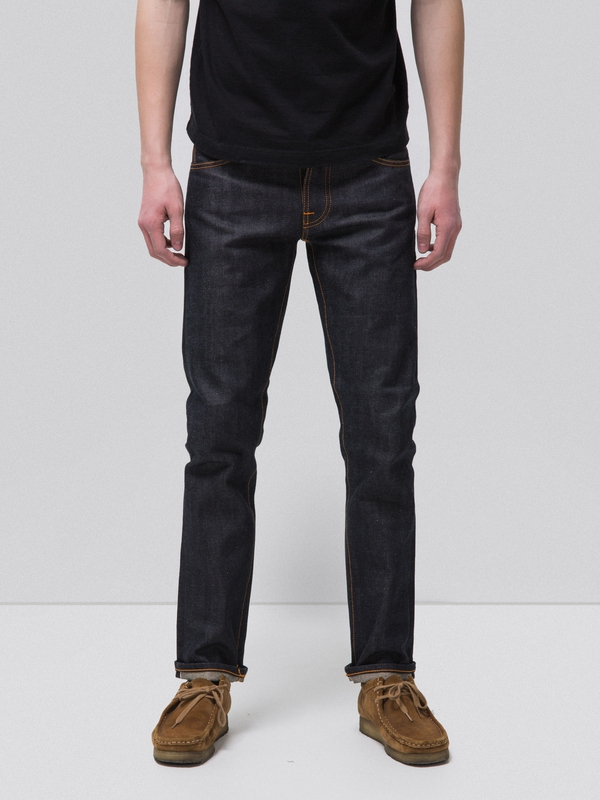 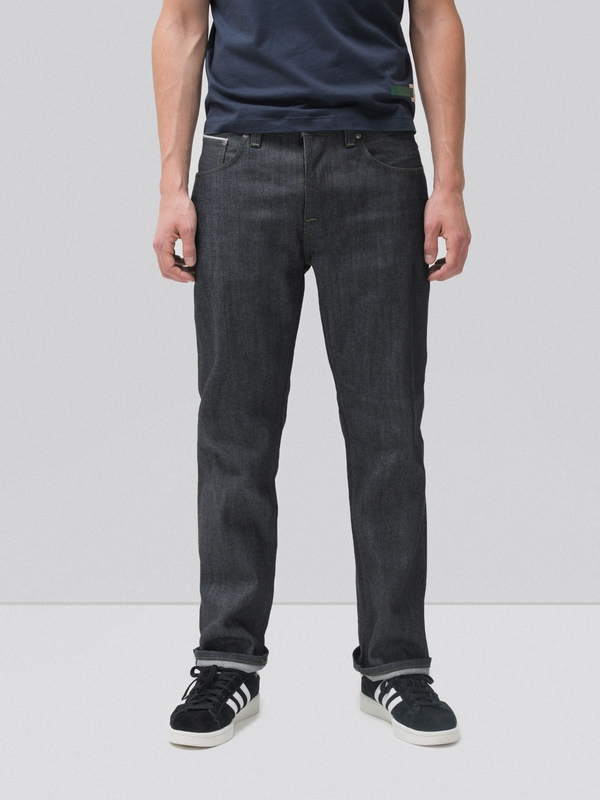 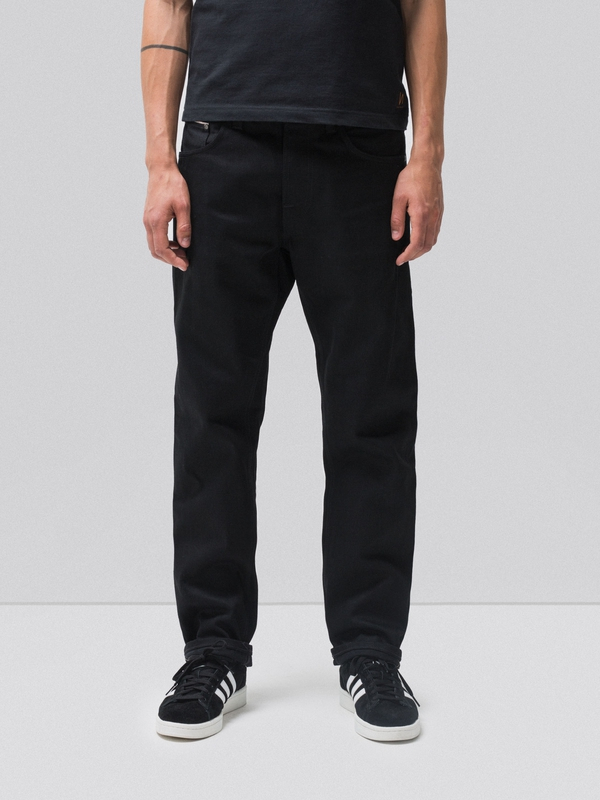 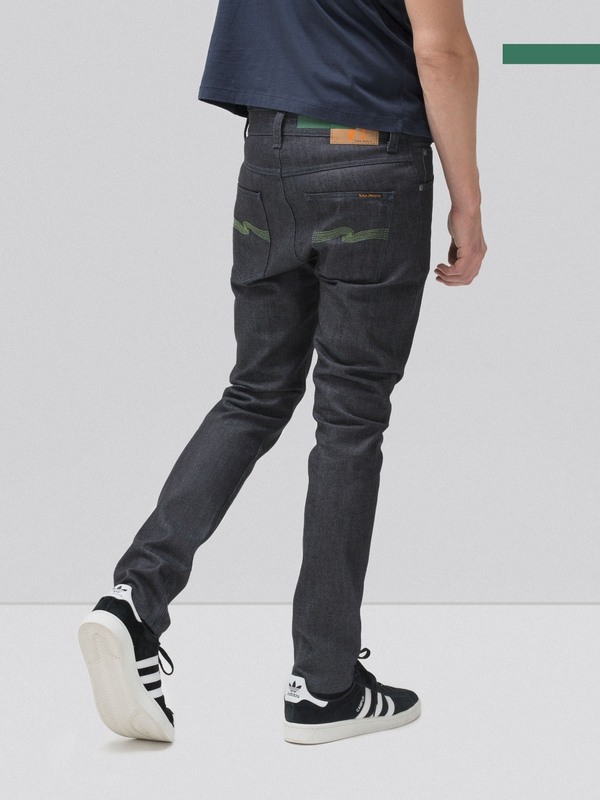 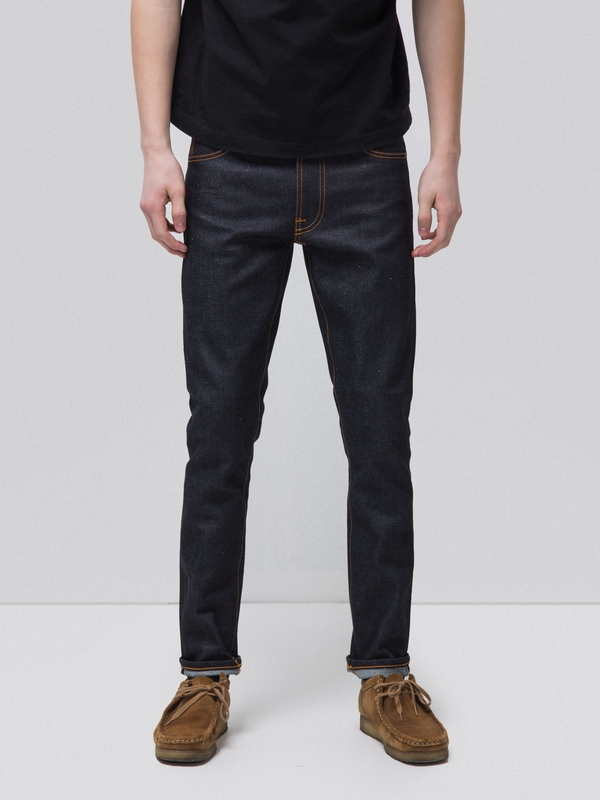 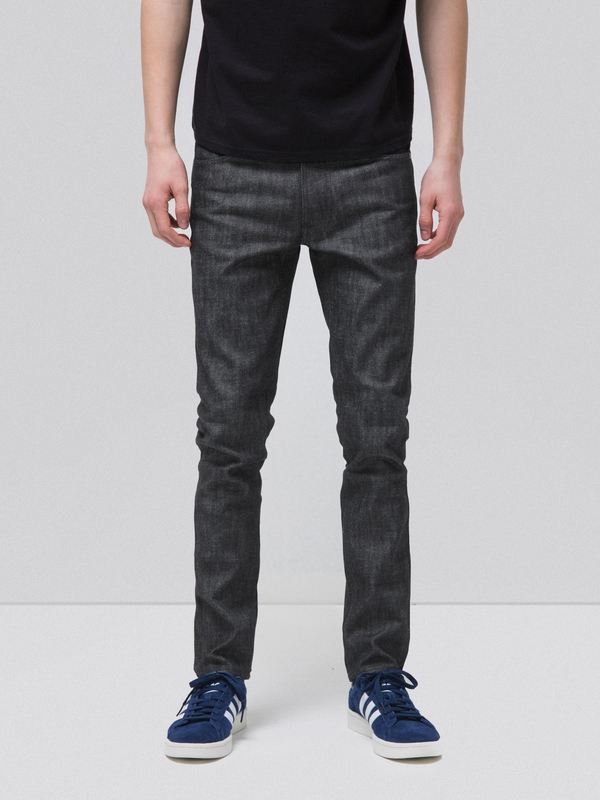 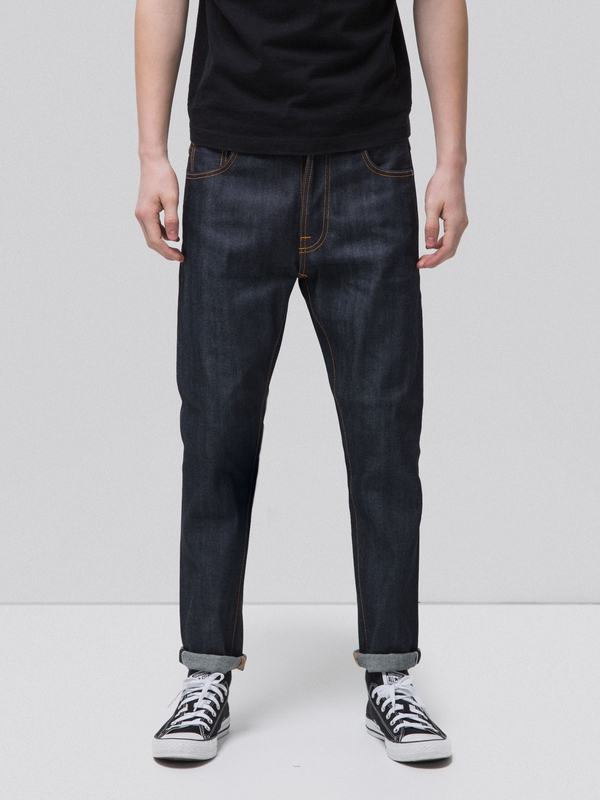 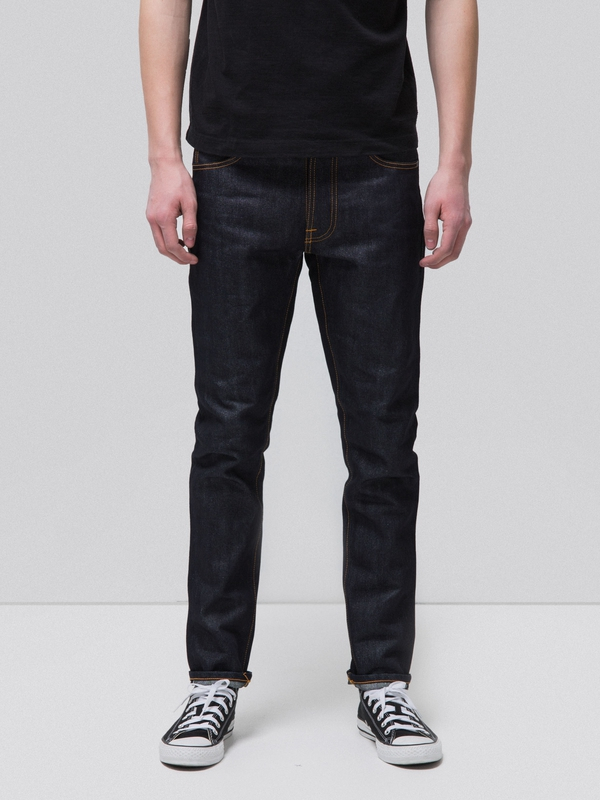 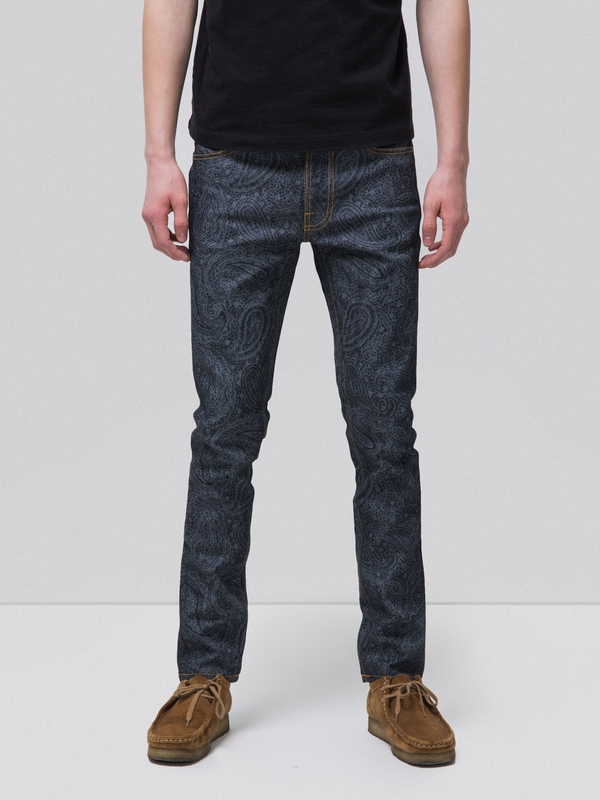 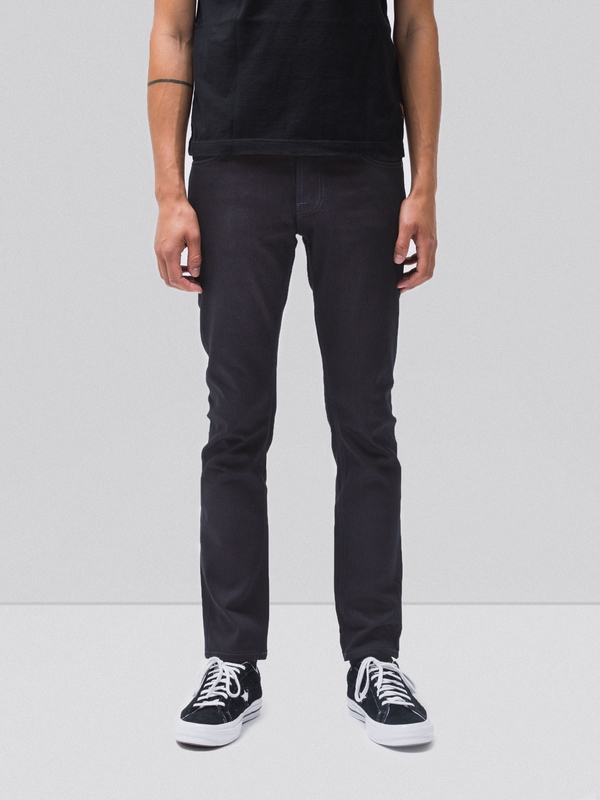 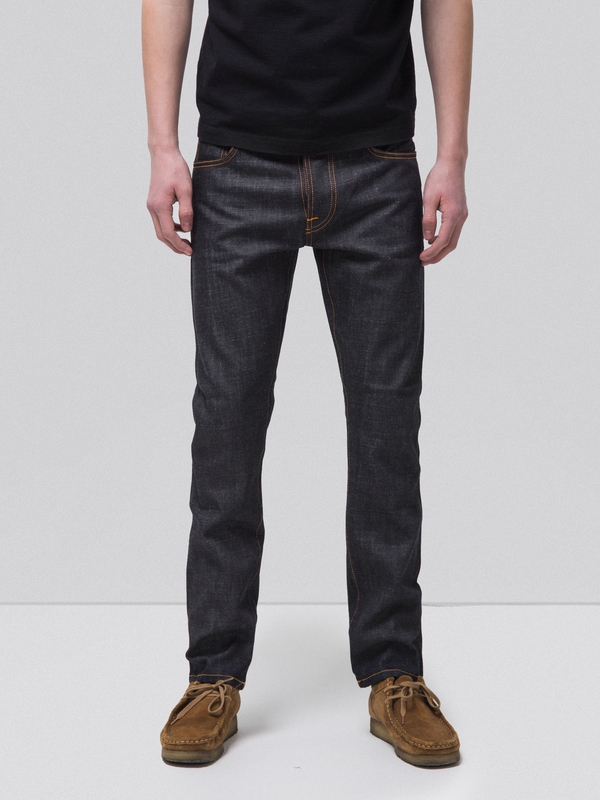 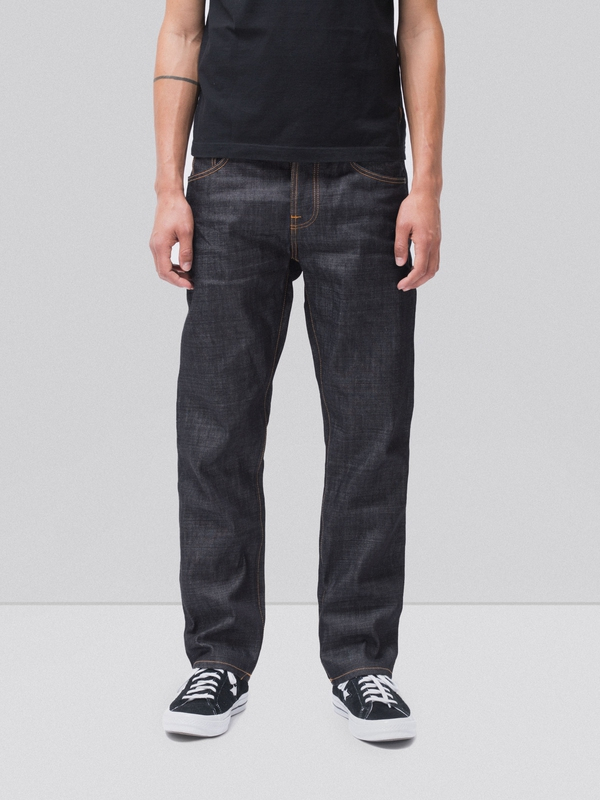 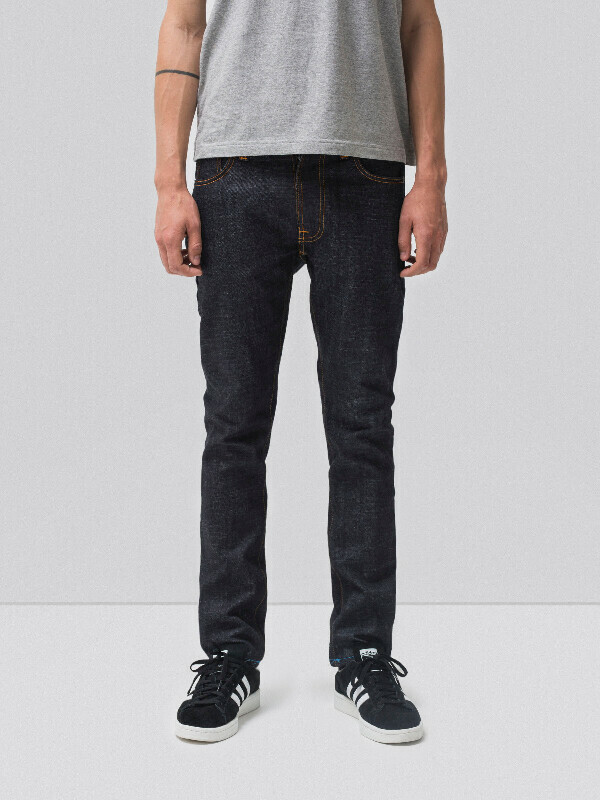 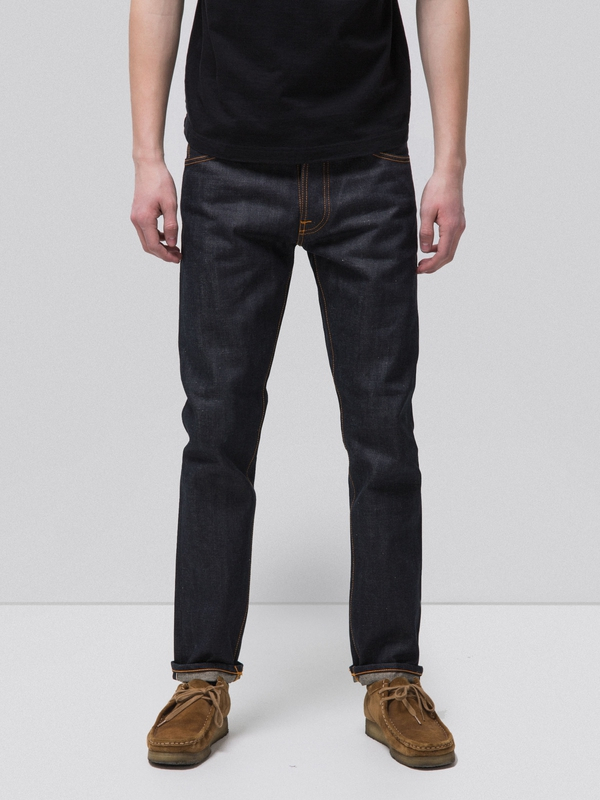 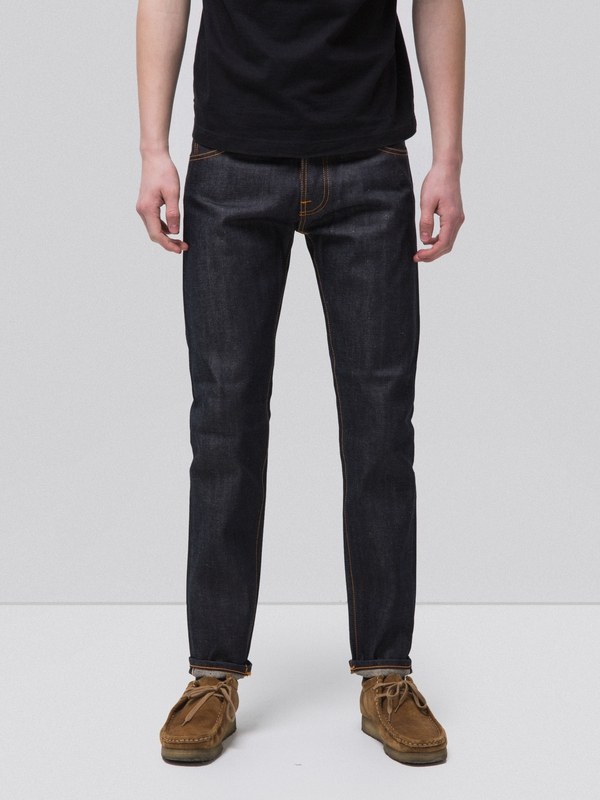 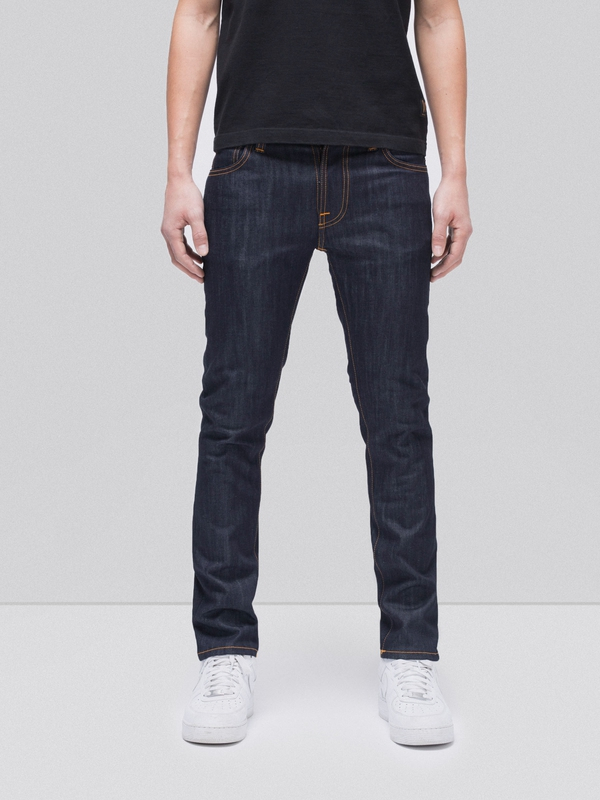 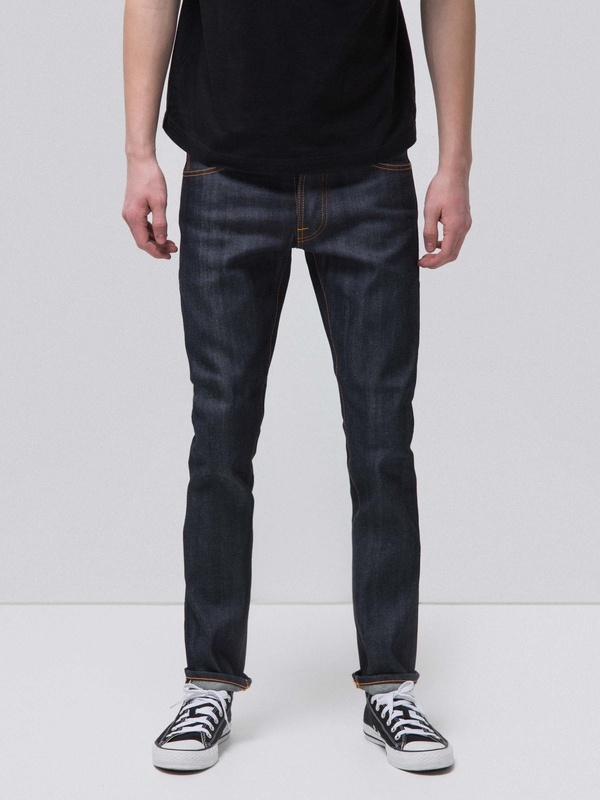 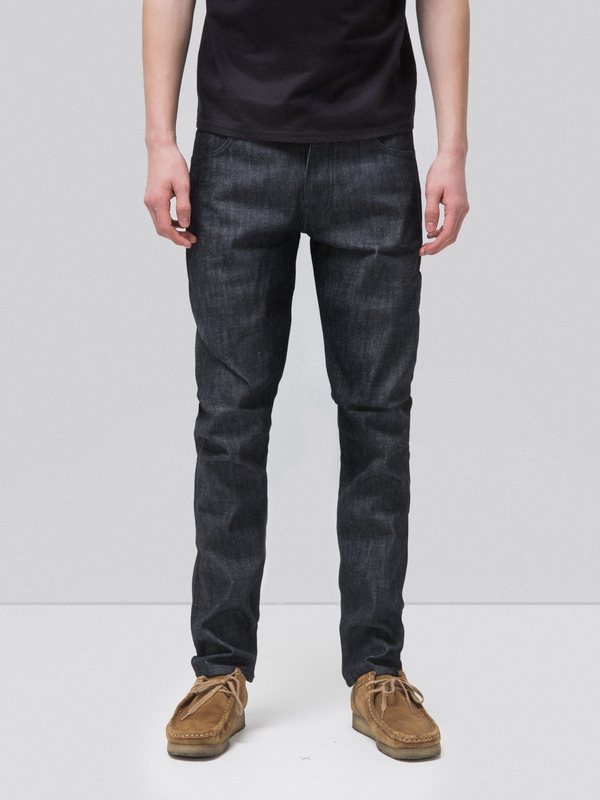 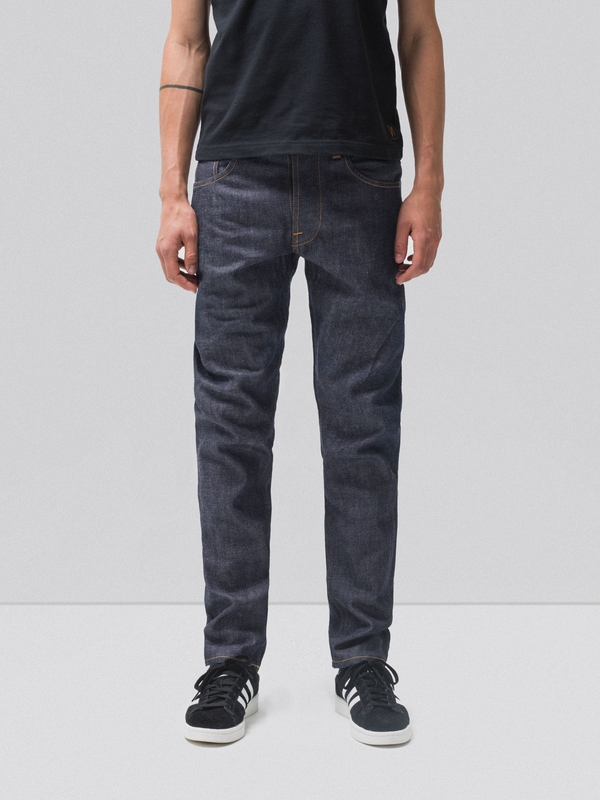 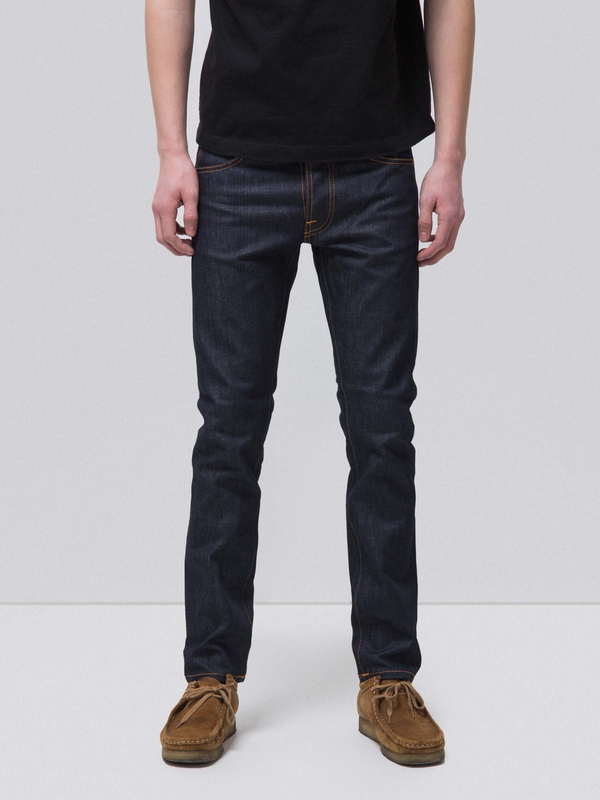 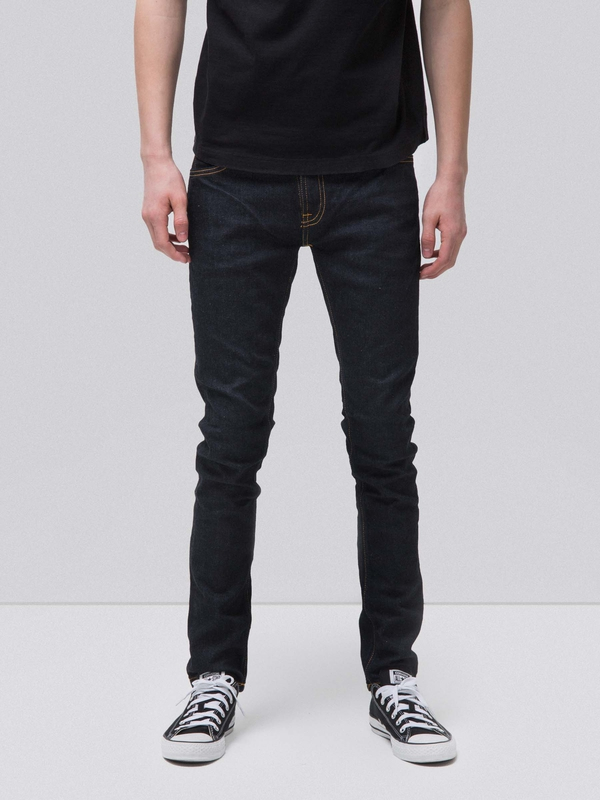 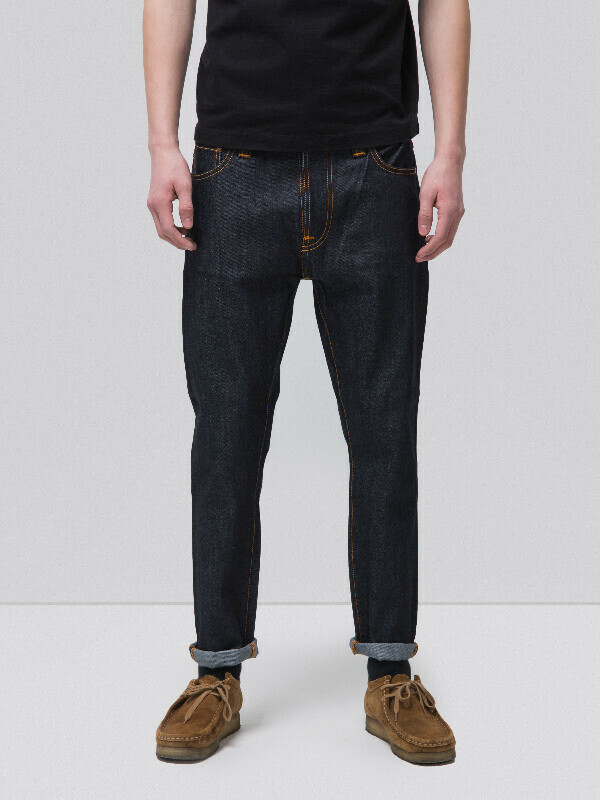 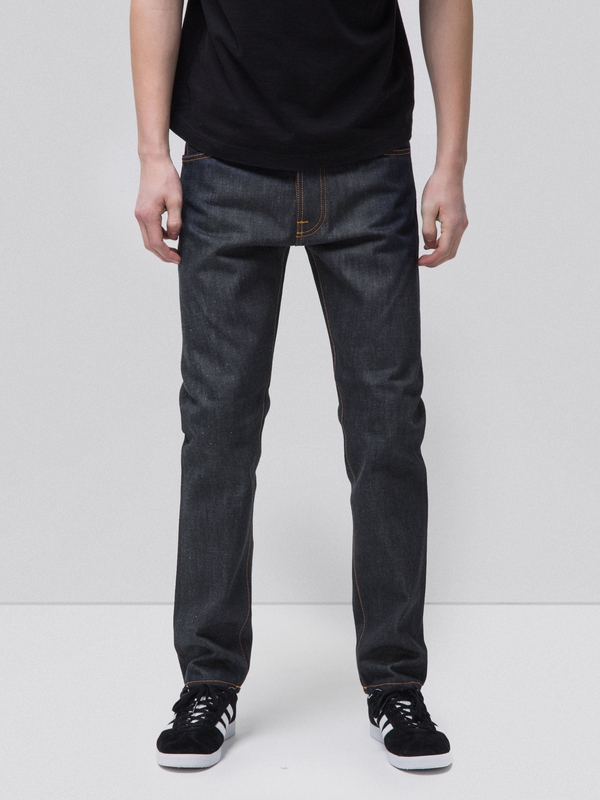 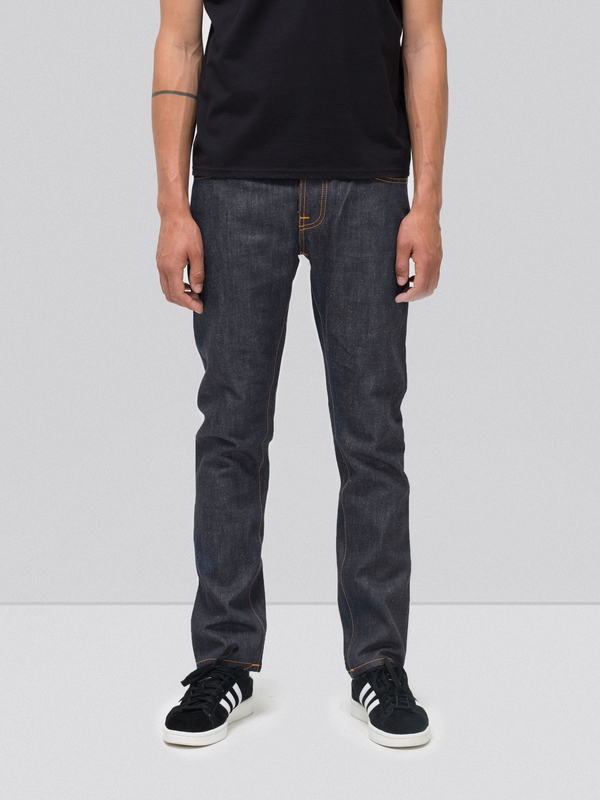 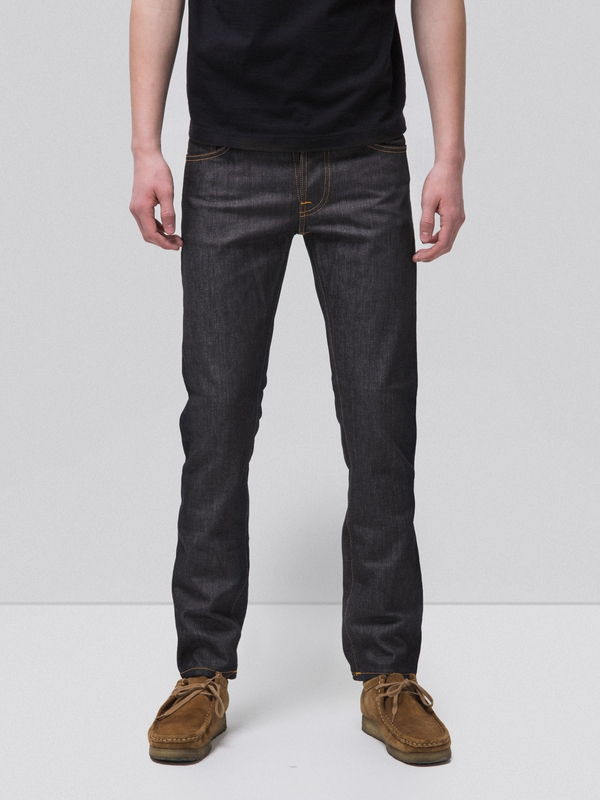 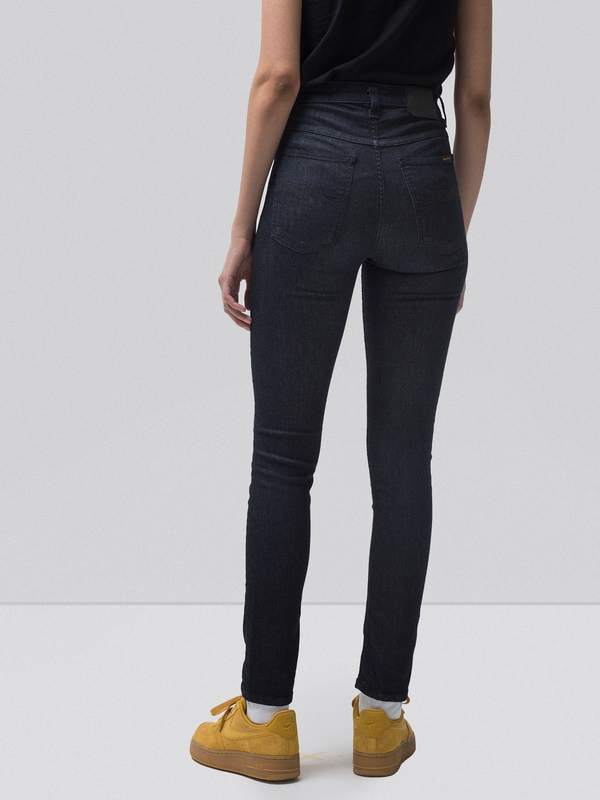 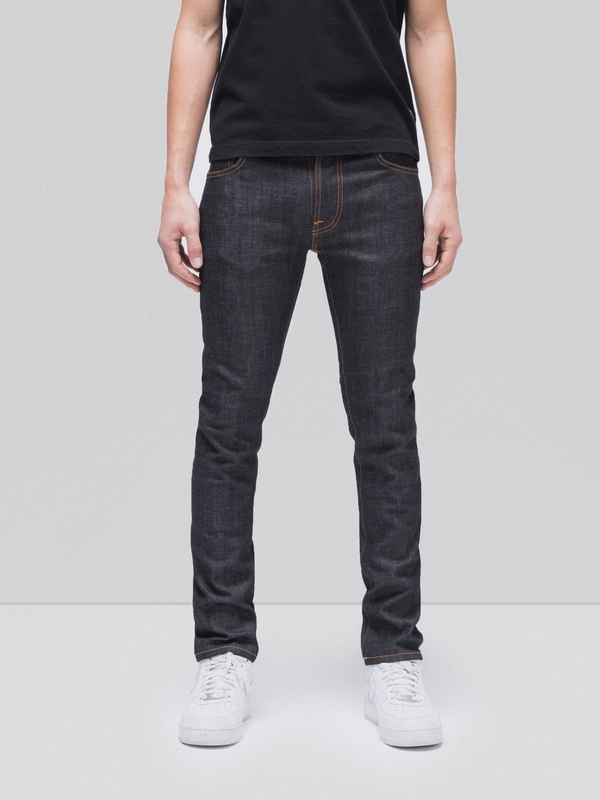 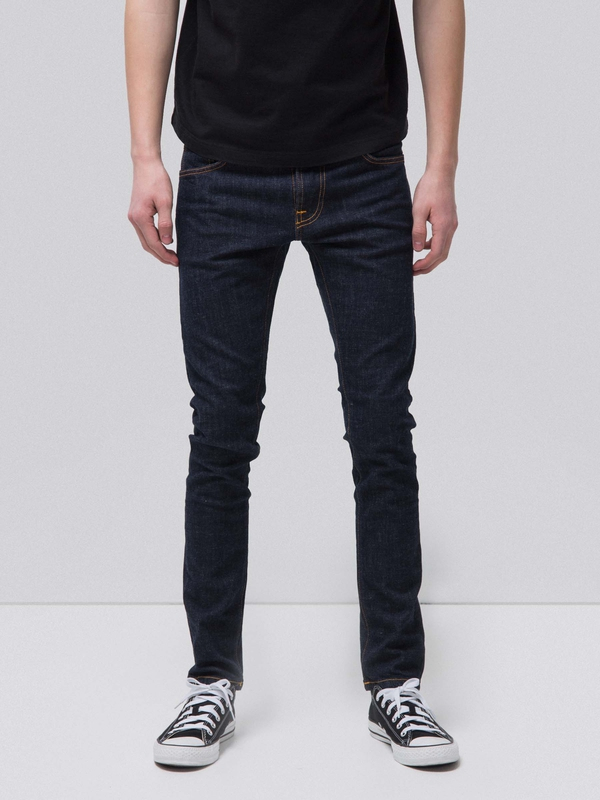 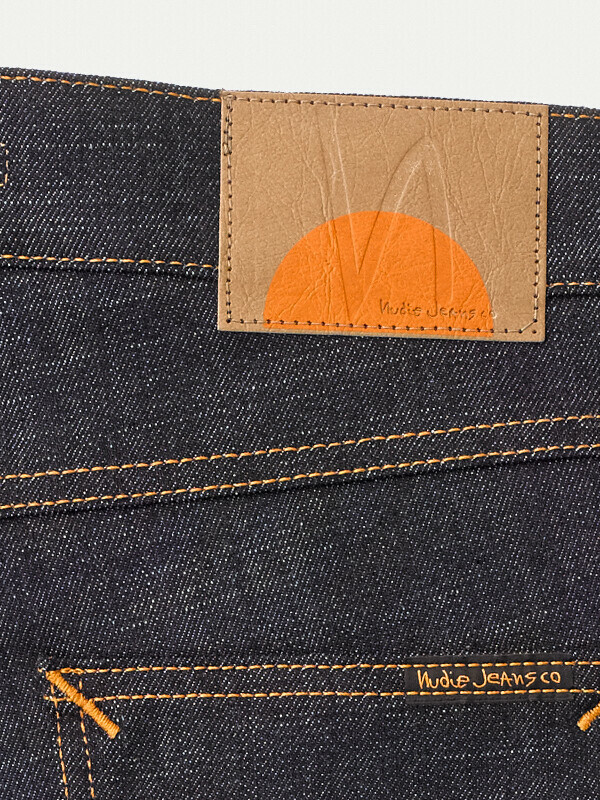 Special edition jeans made in dry 11.4 oz comfort stretch denim. 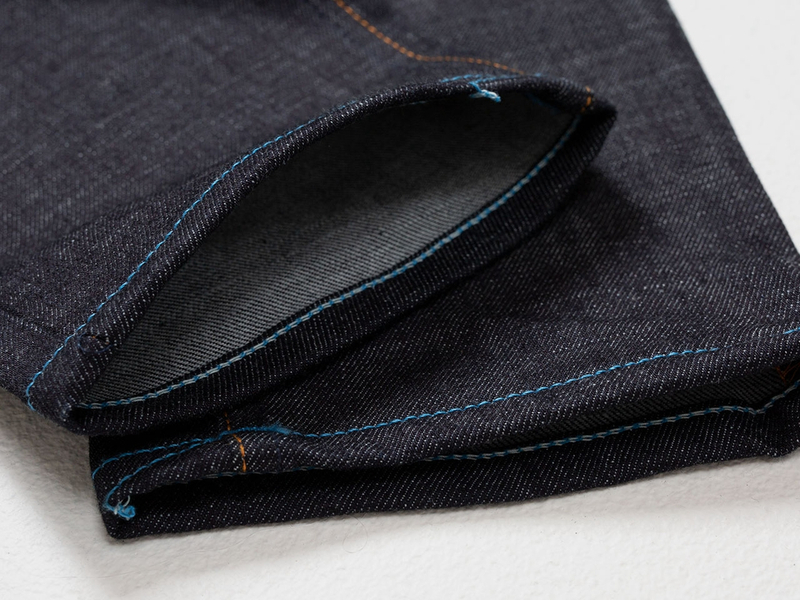 This beautiful deep dark indigo denim was born from an Italian loom when the slightly irregular undyed weft yarns crossed the indigo dyed warp yarns. 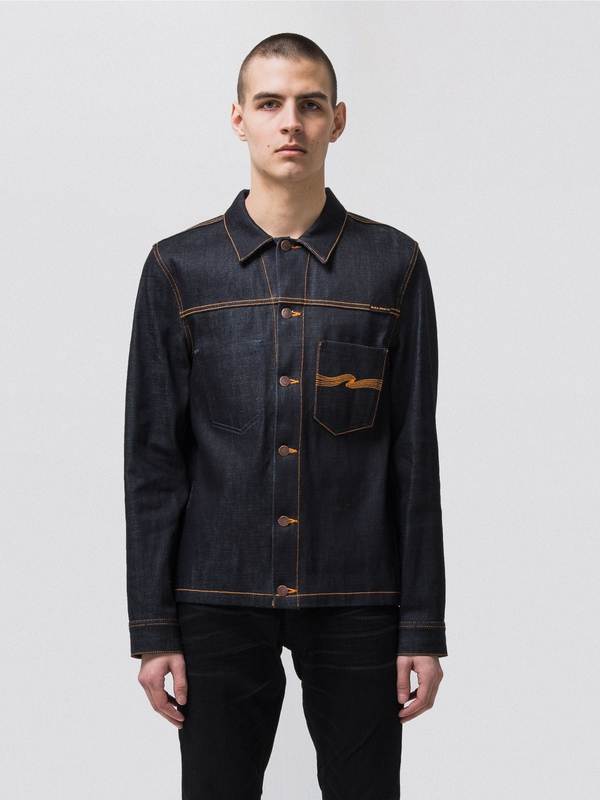 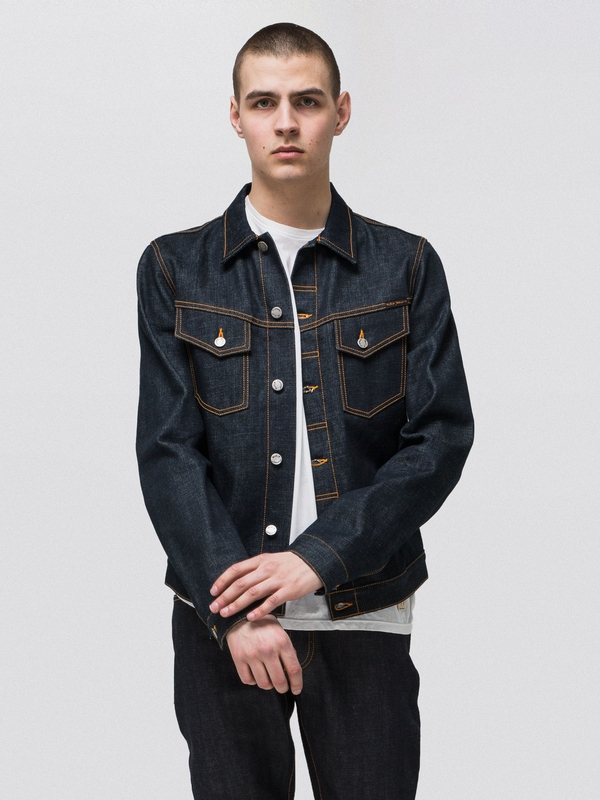 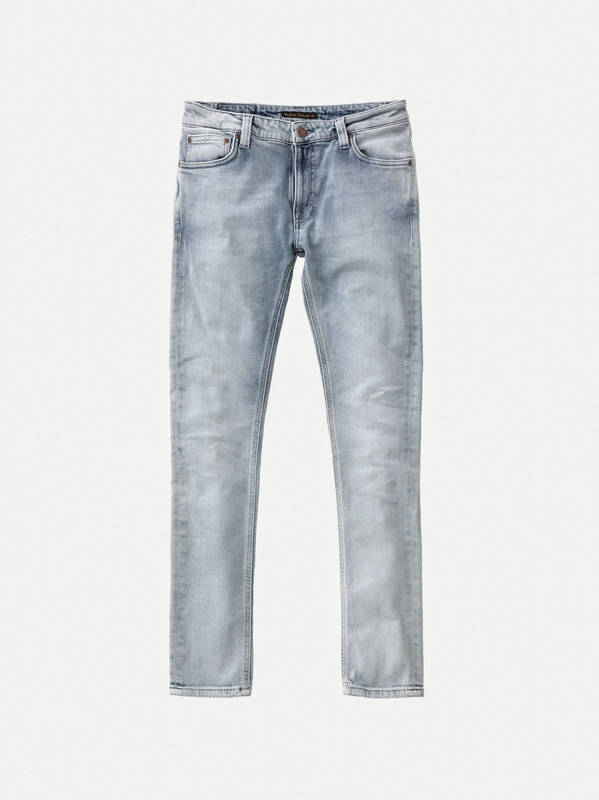 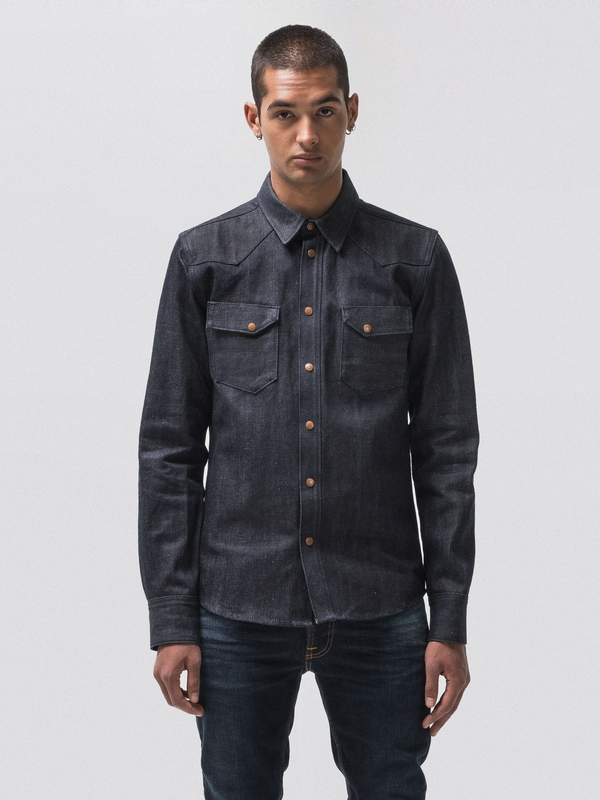 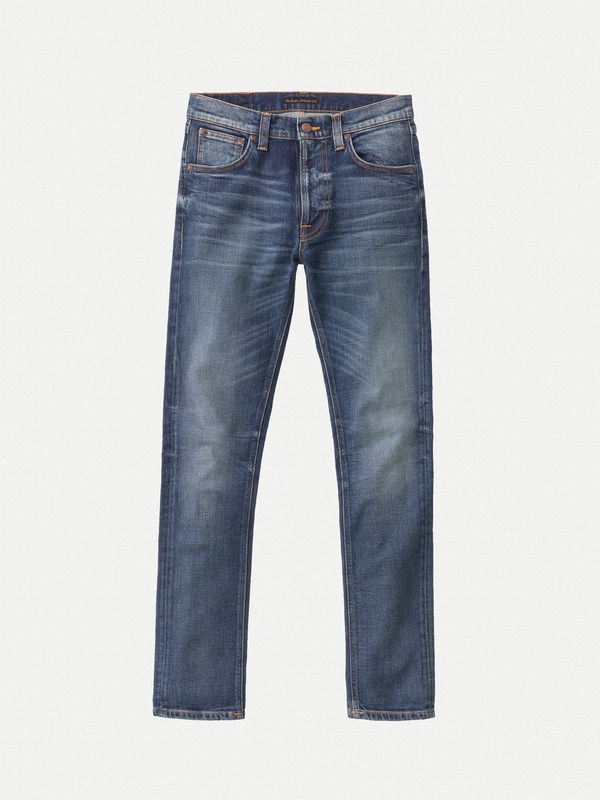 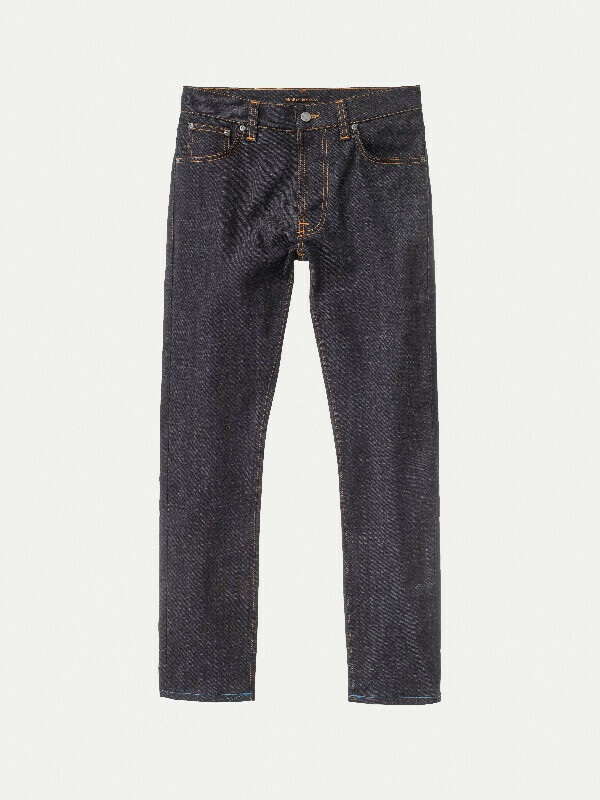 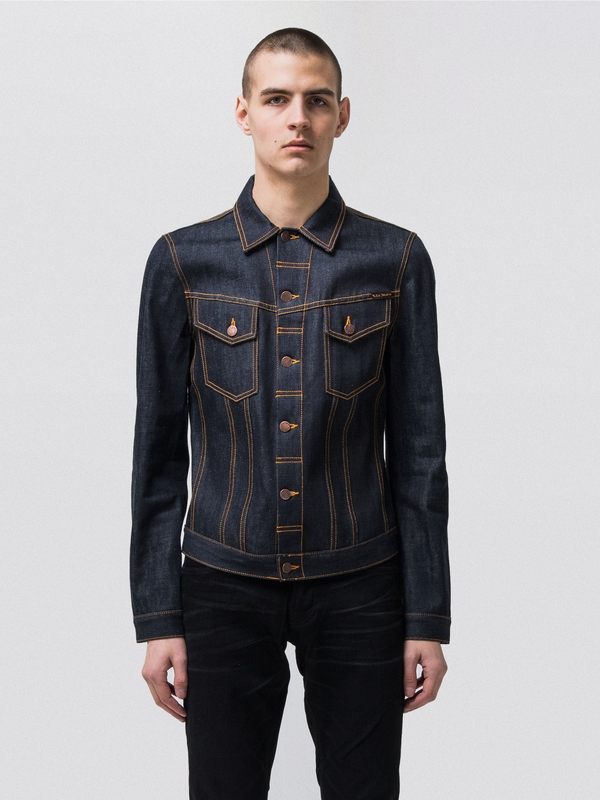 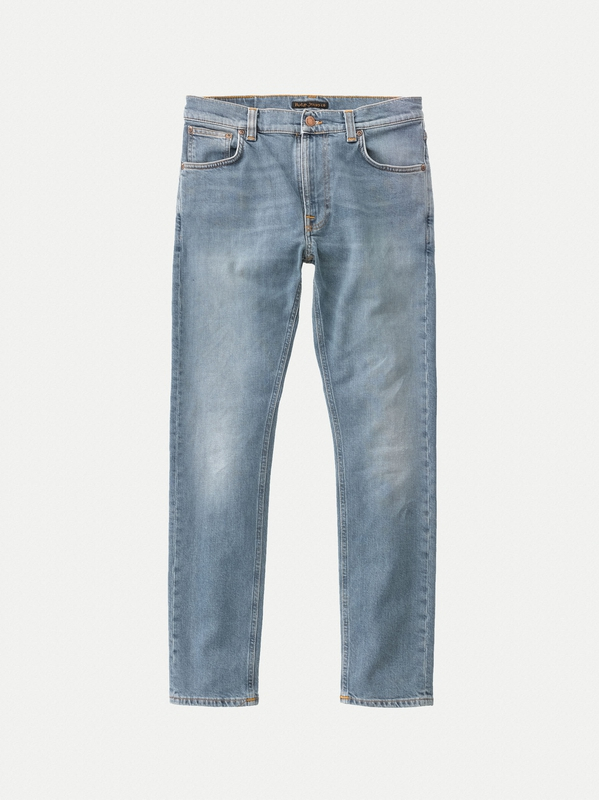 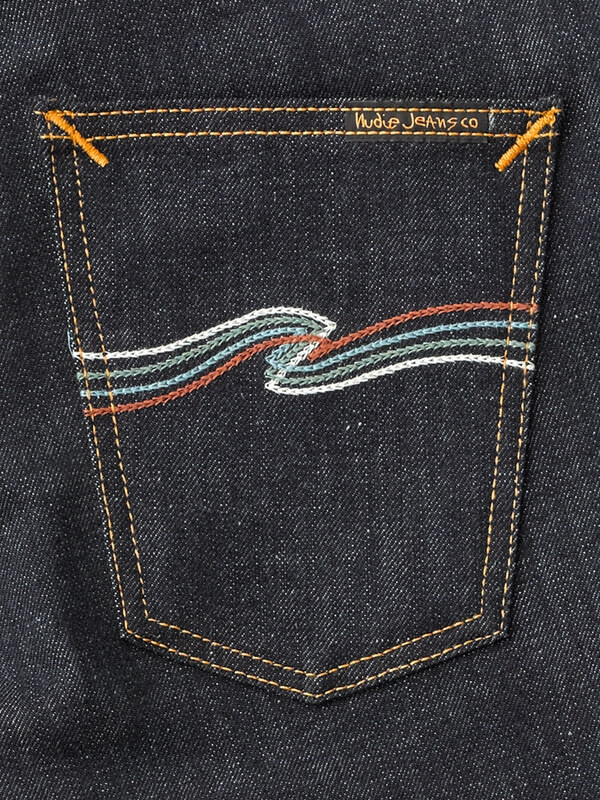 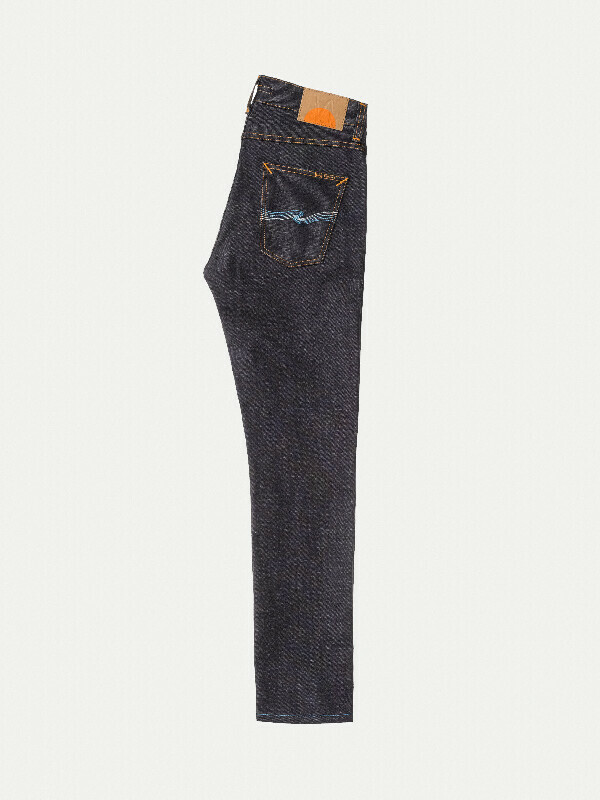 Due to the irregularity of the weft the denim has subtle crosshatch structure which will become more evident with wear. 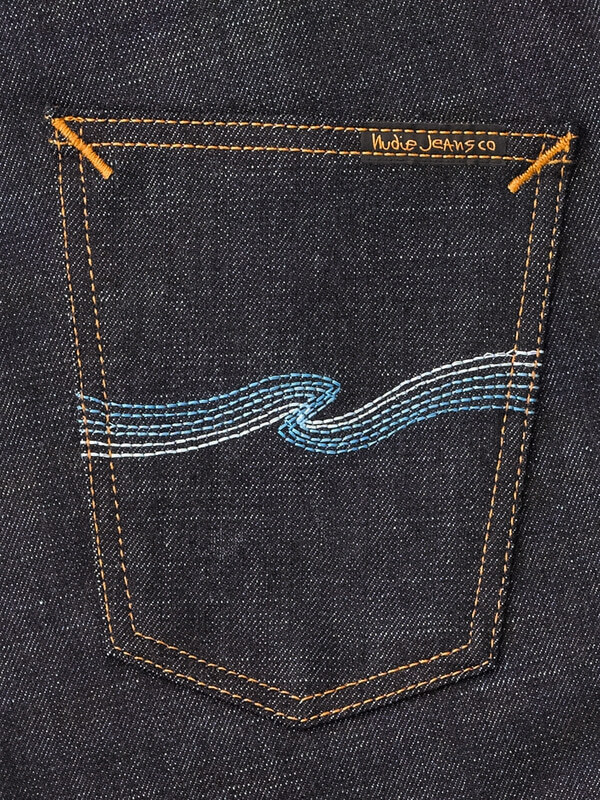 Being part of the Aquamarine collection, the back-pocket embroidery forms a wave with its three-color thread, playfully creating a contrast to the deep indigo denim. 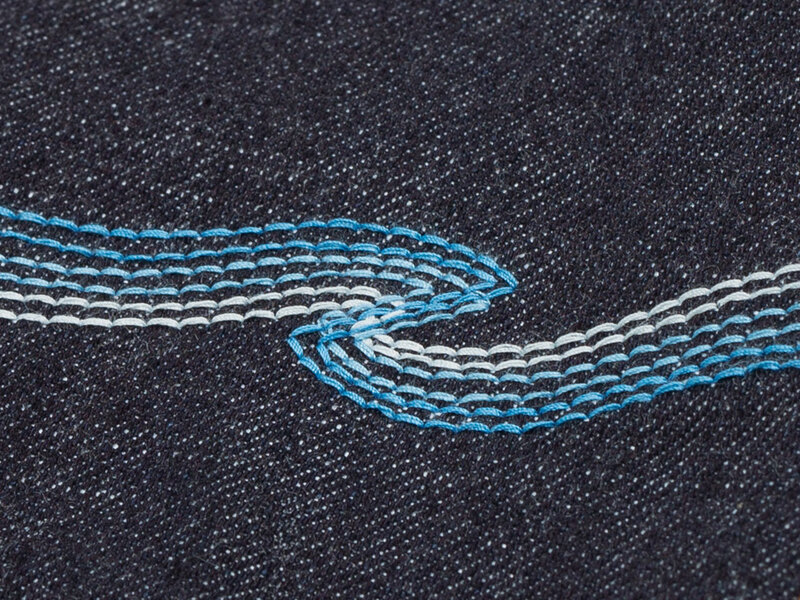 This also goes for the two-tone bottom hem chain stitch, which, if worn folded up, will show as tiny little waves. 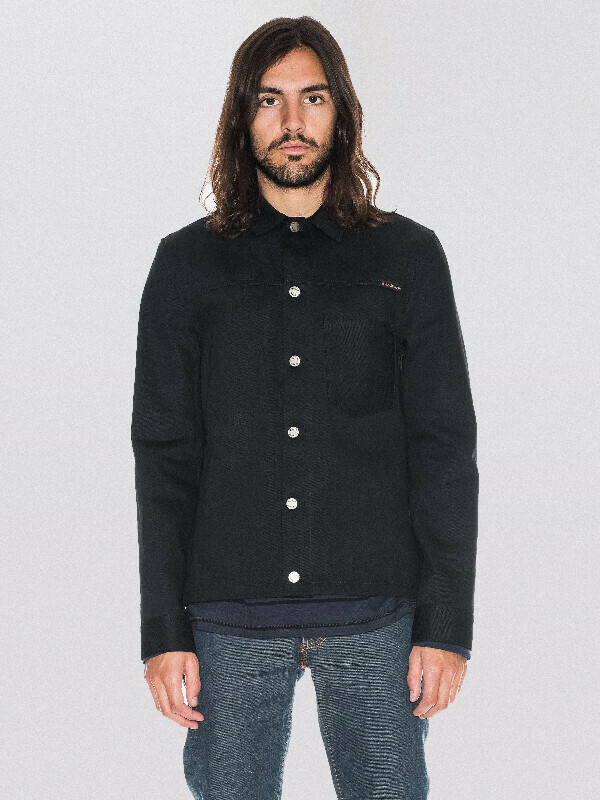 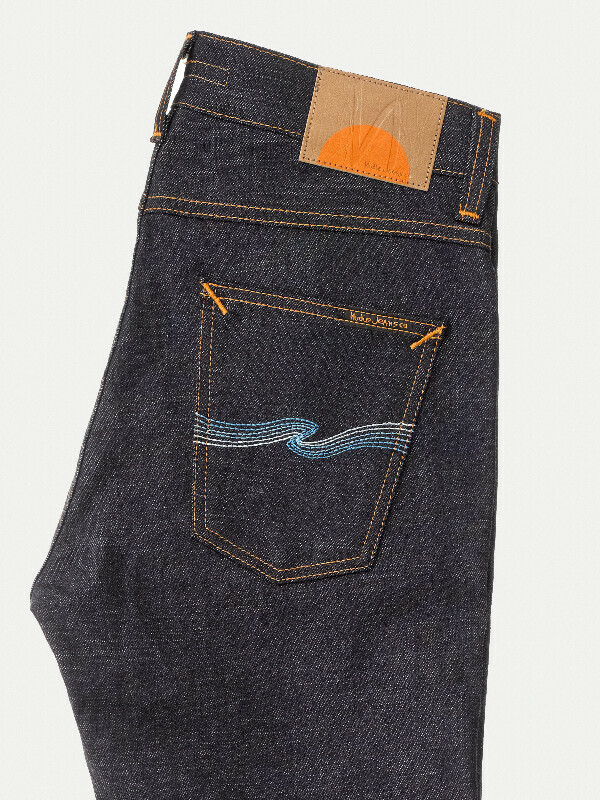 At the waistband, sits a special vegan jacron patch which shines a light on the ocean of indigo that is the Lean Dean Dry Aquamarine.